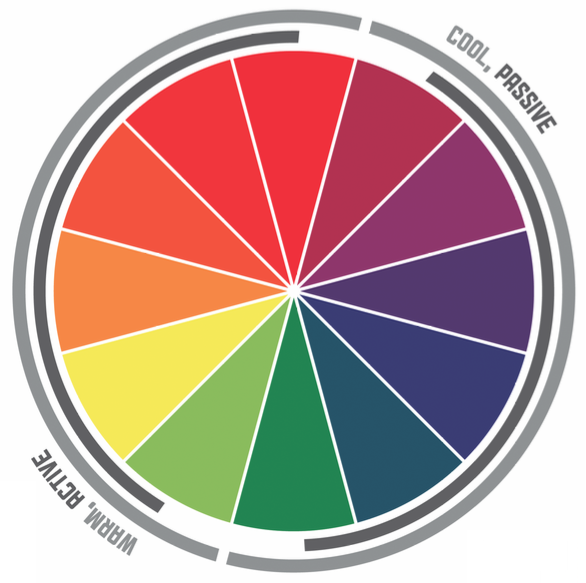 Color is used in design to attract attention, group elements, indicate meaning, enhance aesthetics. Color can make designs more visually interesting and can reinforce the organization and meaning of elements of design. It is used to generate emotions, define importance, and create visual interest. There are various color types (primary to analogous) and relationships (monochromatic to triad). Colors at their basic essence; those colors that cannot be created by mixing others. Those colors achieved by a mixture of two primaries. Those colors achieved by a mixture of primary and secondary hues. Those colors located opposite each other on a color wheel. Those colors located close together on a color wheel. Colors that are shade or tint variations of the same hue. Black (shade) or white (tint) is added to a color (hue). Those colors across from each other on a color wheel. One hue plus two others equally spaced from its complement. Double-Complementary Relationship Two complementary color sets; the distance between selected complementary pairs will effect the overall contrast of the final composition. Those colors located adjacent to each other on a color wheel. Three hues equally positioned on a color wheel.